HOW HYDRATED ARE YOU? - What About Watermelon? You are here: Home / Nutrition / HOW HYDRATED ARE YOU? 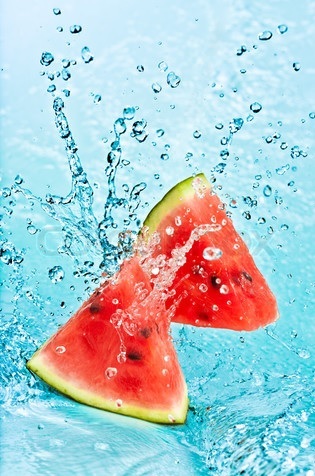 You can’t spell “watermelon” without “water.” You can’t create a watermelon without water, either. At 92 percent water, watermelon boasts a refreshingly high water content, and it’s also rich in vitamins and antioxidants, making it a natural power drink. From daily adequate intake to replenishing the body after a workout, Americans’ hydration needs call for more water—and more watermelon. To get a better understanding of those hydration needs, the National Watermelon Promotion Board commissioned a survey to find out how important hydration is and how much Americans know about hydration. Armed with that insight, the National Watermelon Promotion Board is also able to determine how watermelon fits into those hydration goals. The survey was conducted earlier this year, and the results are in. Nearly nine out of 10 Americans believe they have to drink something to stay hydrated, according to an online survey conducted in May among 2,050 U.S. adults by Harris Poll, and commissioned by National Watermelon Promotion Board (NWPB). Yet the Center for Disease Control and Prevention reports that 44 percent of adults drink fewer than four cups of water per day and, in some cases, no water at all. In fact, three in five Americans (62 percent) agree they don’t have enough energy on days when they don’t hydrate enough. One-third (34 percent) of Americans say they don’t drink a lot of water, as they prefer something with flavor instead – and those numbers are higher (41 percent) among Millennials. The National Watermelon Promotion Board is on a mission to help hydrate Americans, reminding them that they can eat their hydration, too. That edible hydration, of course, can come from watermelon. Two-thirds of Americans (66 percent) agree that, of all produce, watermelon is the one they would choose to eat to help them hydrate. Check out the handy infographic below for more information about the importance of hydration and how watermelon can help!